With Bitcoin, you are your own bank. While this is liberating as you can make payments without permission, it also means you are responsible for keeping your funds safe. If you misplace your funds or they’re stolen, then you’re fucked. There’s no support helpline you can ring up to sort it all out. With Bitcoin, there are no second chances. Because of this, it’s important that you take some simple precautions. In this post, I’ve compiled 6 ways to help you avoid losing access to your funds and protect your bitcoin from thieves. It’s a follow-up to my previous post about the steps you can take to secure your computer. Read about the infamous Mt. Gox hack here. Although you might find it more convenient, you shouldn’t leave your cryptocurrency on an exchange like GDAX, Binance, or wherever else. Centralised exchanges are attractive targets for attackers and there is a long list of exchange compromises that have occurred over the years (with Mt. Gox being the most famous bitcoin hack). If you are actively trading cryptocurrencies, spread your trades across different exchanges to reduce the impact if any one exchange is compromised. Withdraw cryptocurrency you’re not intending to trade with into cold storage (see below). Although you might like to keep some of your cryptocurrency in an easily accessible web, mobile, or desktop wallet (i.e., a ‘hot wallet’), you should be keeping the majority of your funds in a ‘cold wallet’. This means creating a paper wallet or using a hardware wallet like the Ledger Nano S or Trezor. Hardware wallets are probably less secure than a paper wallet. However, properly creating a paper wallet can be a little much for beginners – as there are a few ‘traps’ you can fall into. Hardware wallets are well-recommended in the community for this reason, as they are affordable and easy-to-use straight out of the box. NOT store your key or seed on a digital device (which will ever be connected to the Internet). If you’re using paper, store it in a ziplock bag inside something like this. Have at least two backups of your key or seed. Ideally, you want each copy to be recorded from the source – not another copy. Split your key or seed into multiple parts. Although not necessary, this is an extra precaution you can take against the possibility that you’re robbed. The Winklevoss twins do exactly this. Keep at least one backup off-site (i.e., outside your primary residence). NEVER enter your seed into any website or let anyone see it. If you’re using a Ledger Nano S, you can also enable your hidden wallet. This is a plausible deniability feature which can help prevent a devastating wrench attack. Some details in the 2nd part of this post. Trezor hardware wallets have a similar feature (see here). Please do make sure you’re very comfortable with these features (i.e., test them out) before using them. These steps are a little inconvenient. In my experience though, it’s worth the effort for the peace of mind against robbery, fire, flood, or other unfortunate circumstances. 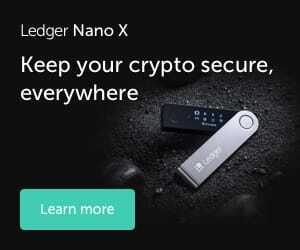 Make use of the hidden wallet on the Ledger Nano S.
If your computer is unknowingly infected, then it’s possible that Bitcoin addresses could be changed when you paste them from the clipboard. Unless you double-check the address before confirming the transaction, this means that you could send your hard-earned crypto to a wallet controlled by an attacker. Kaspersky Labs reported that (as of 31st October 2017), a virus that did just this (named ‘CryptoShuffler’) had stolen over 23 BTC (about $230,000 at the current exchange rate). Check out my previous post for some basics steps you can take to secure your devices. It’s fine to be enthusiastic about cryptocurrencies online or in real-life, but you should never disclose how much you’re holding. Even if you trust friends or family enough to reveal this, they might not appreciate the sensitivity of the information and blabber to someone else. It’s easier to just keep it tight-lipped. Given that Bitcoin is NOT anonymous (just pseudo-anonymous), you should also be conscious of leaving a digital trail which could lead attackers to the balance of your primary wallet. If you’re worried about this, consider learning about (and using) Monero. Regardless of how much we distract ourselves from this truth, we are all mortal and each have an expiry date. It’s convenient to ignore this step, but it is critical if you want these funds to be accessible to others in the case of your unexpected death. The easiest solution is to ask yourself: who would I want these funds to pass along to? Once you’re certain of this, have a 1-to-1 conversation with those parties. This removes any trail which might lead an attacker straight to your funds (i.e., where your private keys are stored). It’s prudent to make a will too. If you liked this post, make sure that you share it with others who it might help. If you want to keep up with my latest posts, then follow me on Twitter.